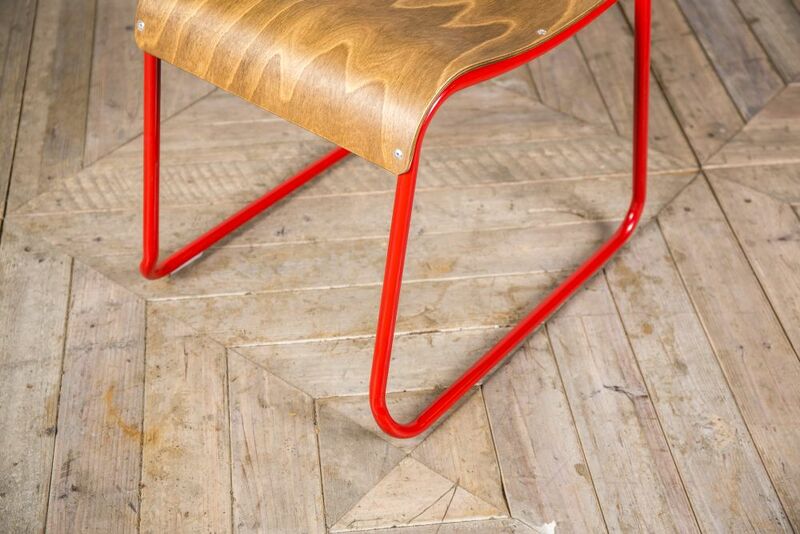 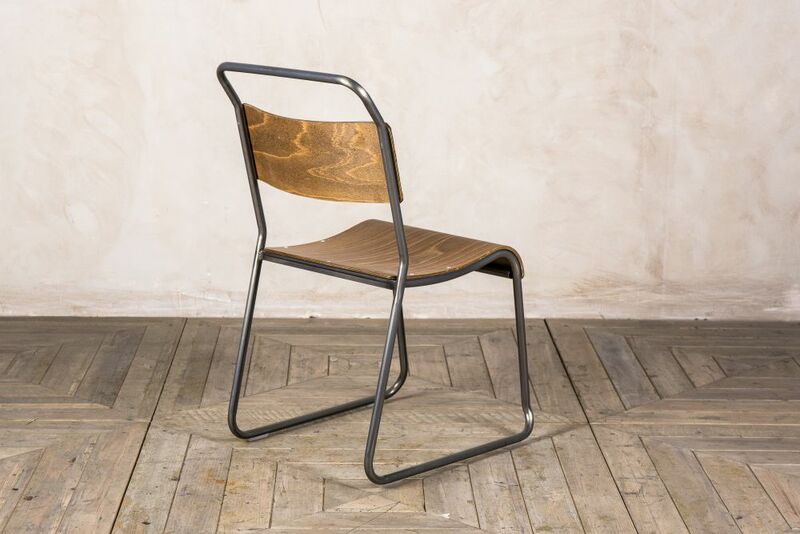 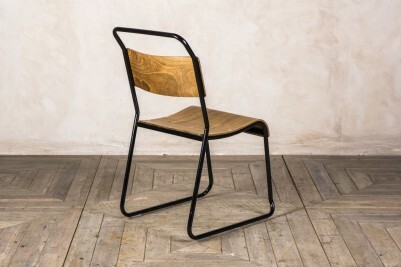 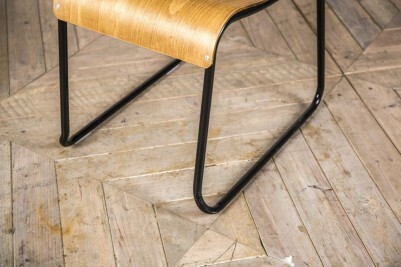 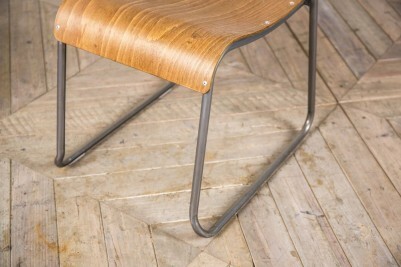 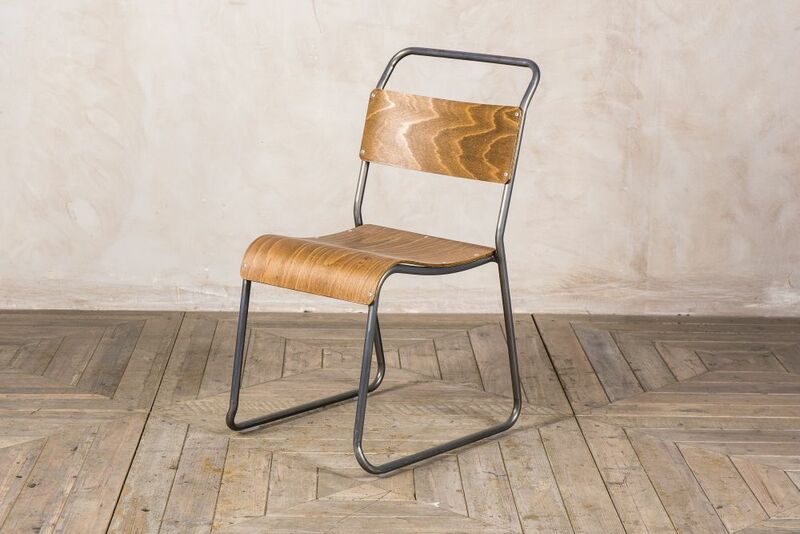 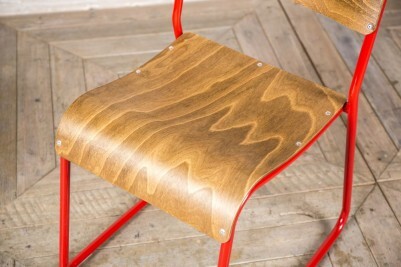 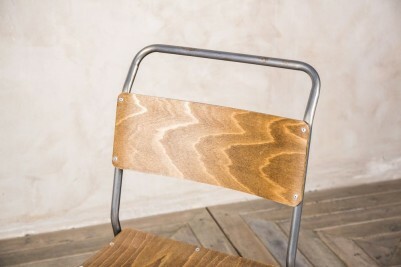 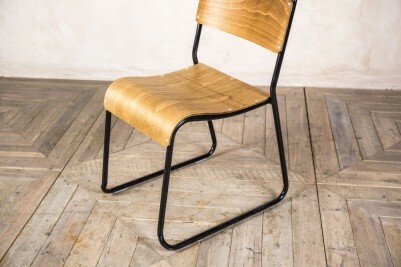 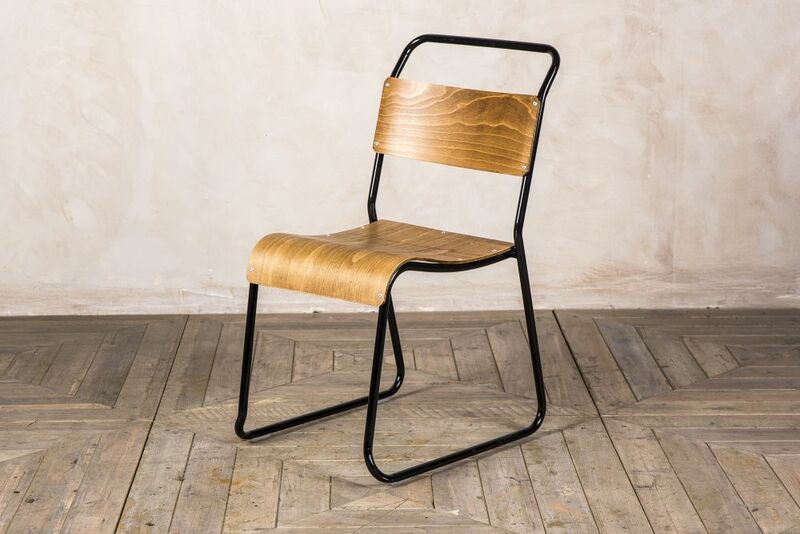 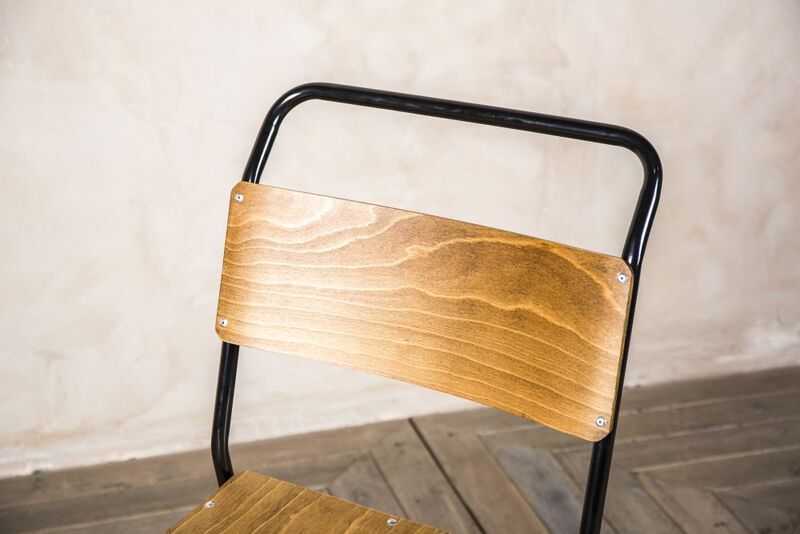 This plywood dining chair is a new addition to our vast collection of industrial look bar and restaurant furniture. 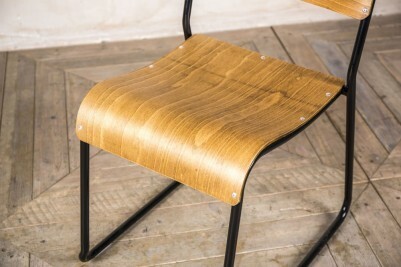 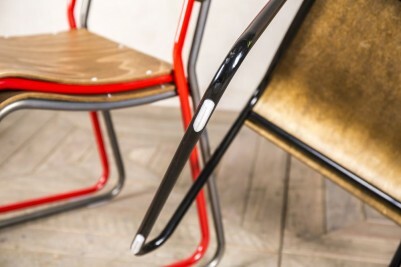 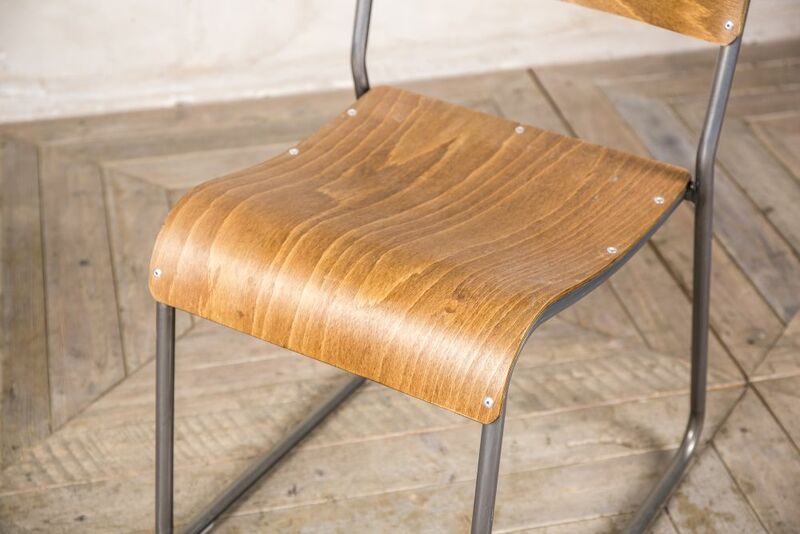 The chairs feature a beautiful steam-bent shaped back support and seat. 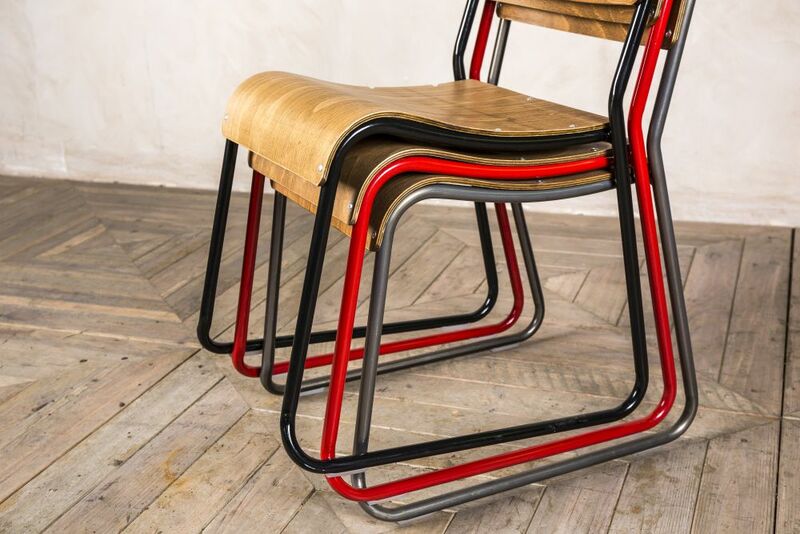 The frame is made from tubular steel and is designed so that the chairs can be stacked together for ease of storage. The feet are fitted with nylon gliders to help protect your floor. The 'Chelsea Plus' chairs are all painted with a durable UV-stabilised, epoxy powder-coated finish. 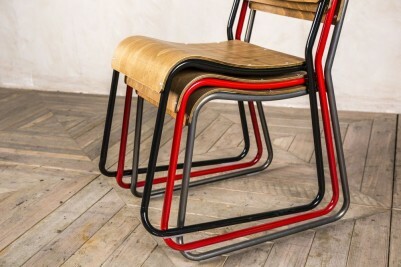 These stylish chairs would also look great in a vintage themed kitchen or dining room. 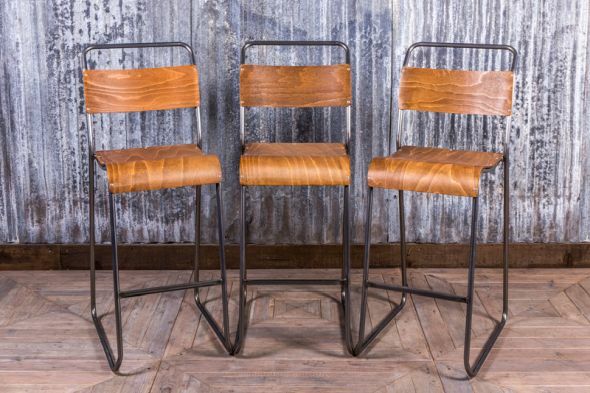 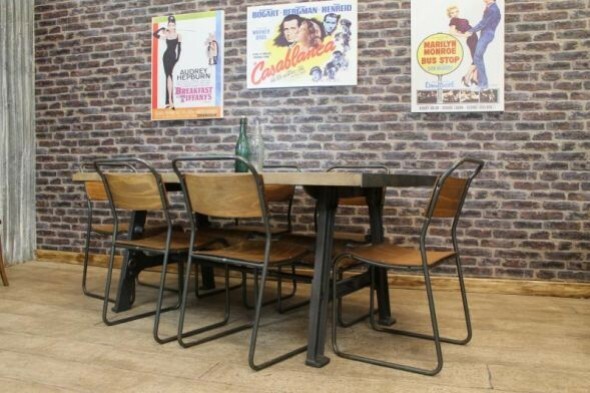 These chairs would add a touch of class to a range of interiors; they can be easily stacked up to 10 high, making them suitable for use in cafeterias, bars or restaurants. 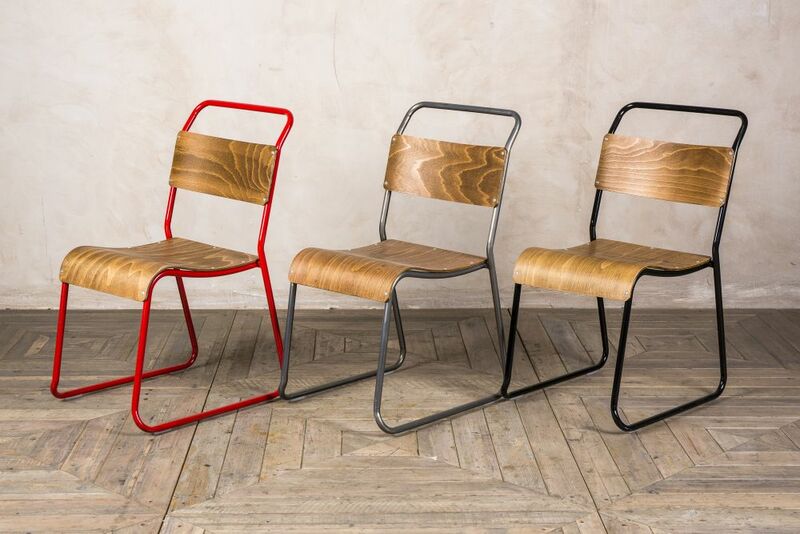 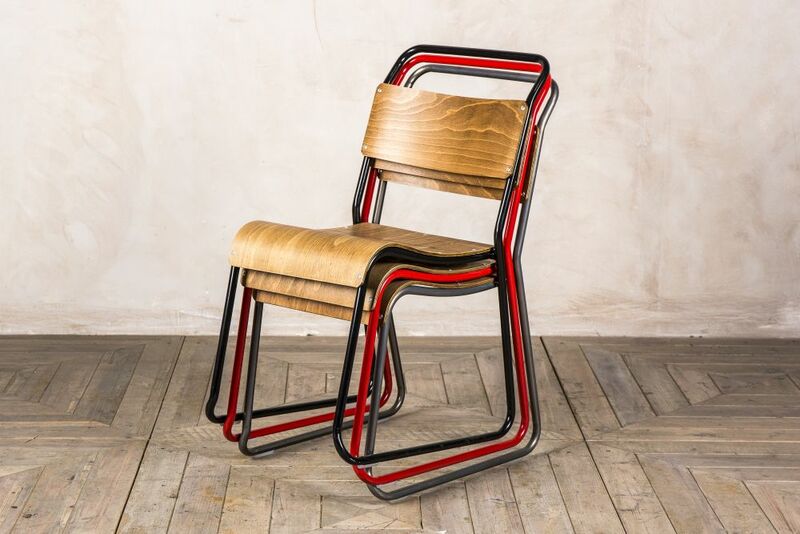 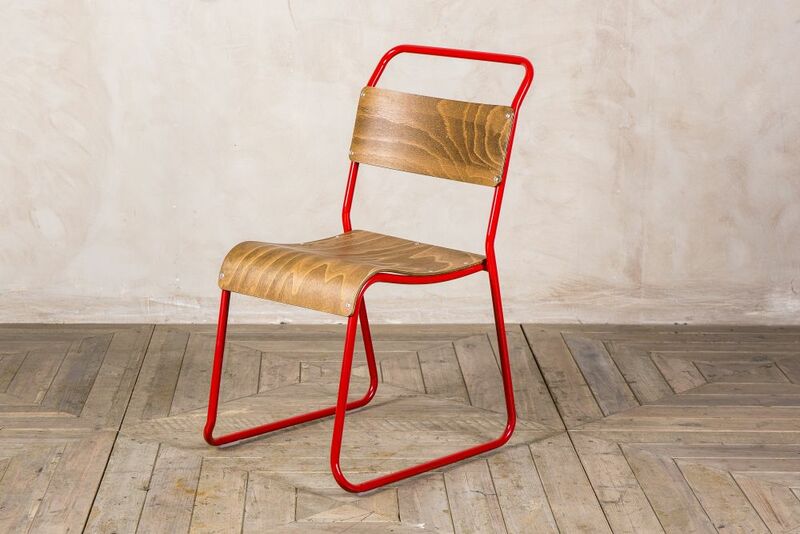 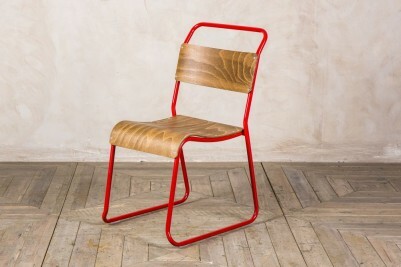 Also ideal for use in domestic properties, this classic 1950s inspired stacking chair is available to purchase in a range of three colours; bright Ferrari red, classic gunmetal or black. The price stated is for one 'Chelsea Plus' plywood dining chair only, but the chairs are available to purchase in larger quantities.